In 2016, two leading organisations joined hands in an effort to create employment opportunities for the skilled workforce of Punjab. Today, the PSDF – Rotana conglomeration has resulted in numerous successful employments in hotels and resorts across the Gulf. Sana’s road to success began with a rough start. Belonging to a poor background, she was keen to do something for the betterment of her family. Diligent and extremely devoted, she became a part of the Hospitality Sector by taking a course in Food Preparation and Culinary Arts. She then got appointed as a chef in Pearl Continental Hotel, one of the leading 5-star hotels of Pakistan. During this time, Sana was inform about job opportunities available in the Gulf countries, being offered by PSDF in collaboration with Rotana. She decided to take this opportunity and decided to apply. Today, she works as a Commis Chef at Abu Dhabi Rotana Beach Hotel, a luxurious 5-star destination, after successfully clearing six months training program for Waiter & Commis III. Talha completed a course in Hospitality and Tourism Management under PSDF banner after which he got employed in the food and beverage services of Amwaj Rotana Hotel, Jumeirah Beach Dubai. The course was instrumental in building his basics. He, now, has a clear understanding of the rules, regulations and everything relevant to Hospitality Industry. 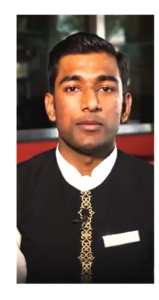 Coming from an underprivileged background, Umair, an accountant, was unable to cover his house expenses. He applied for the job PSDF was providing in the Gulf countries and was hired immediately. 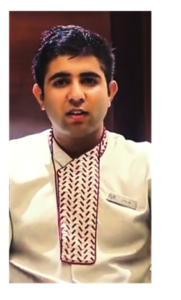 After three months of training in housekeeping, Umair is currently working at The Cove Rotana Ras Al Khaimah, one of the most deluxe hotels in the world, as a housekeeper attendant. Shehzar saw his mother, as a single parent, work tirelessly to cover for household expenses. He wanted to help his mother financially. He applied for a job opening posted by PSDF. He went through three months housekeeping training program in which the first two months were devoted to class room training and the third month for vocational/practical training. After the completion, he was among the 9/10 students to land a job immediately. Today, he works as a housekeeper attendant at the Rotana Beach and earning well to support his family. Discontented with his low salary and stuck a constant desire to move forward, Adeel found himself struggling in life. It was around that time when he applied for the job openings in Gulf countries posted by PSDF, in collaboration with Rotana. Today, Adeel is posted at a well-paid job as a Ken Fix It (a job in which you are responsible for the maintenance/technical attention to guest rooms and public areas in the entire hotel) at Saadiyat Hotel Rotana, a property of Rotana Hotels.